Glancing through my saved search results from eBay this week, I’ve come across some great finds. 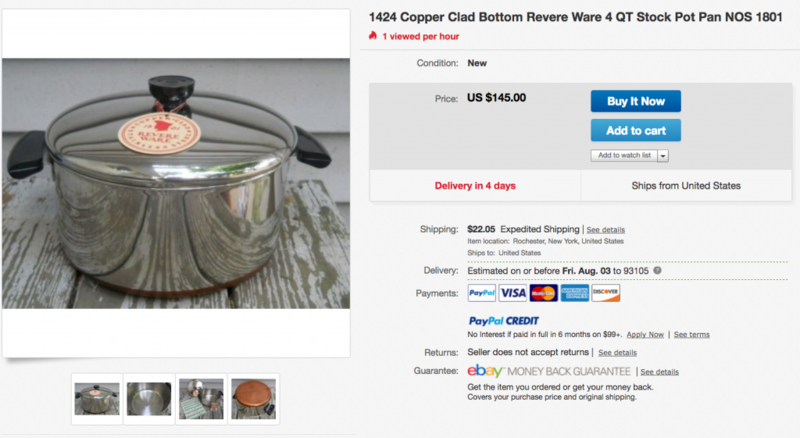 The first is expensive, but rare; a brand new vintage 4 quart stock pot. Next, we have a new, and incredibly cheap, drip coffee maker. I just love these. 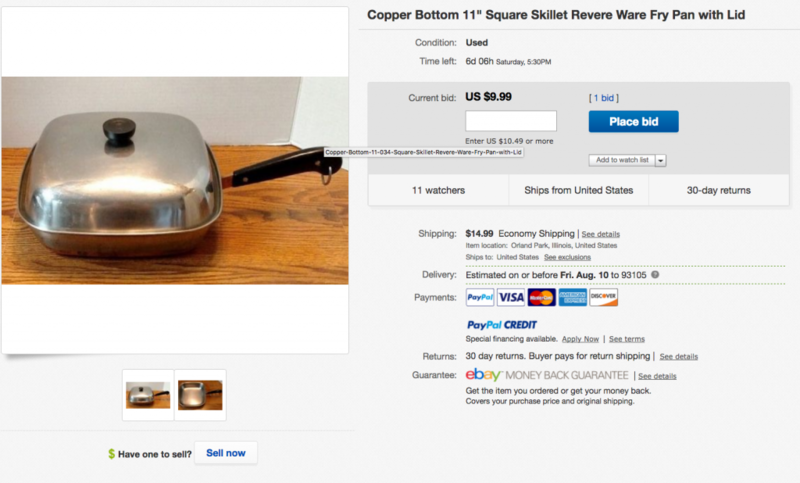 Finally, the sought after square skillet, for a very chip starting bid. Personally, I’ve waited years sometimes to find the right item at the right price on eBay. Simply setting some saved searches and keeping up with the results will often help you find the hard-to-find piece, or a more common piece at a good price.